Two authors engage in discussion at he 2nd Annual Raving Press Book Festival at Speer Memorial Library in Mission on Saturday, April 14, 2018. This was some wisdom for prospective writers shared by McAllen Poet Laureate Edward Vidaurre during Saturday’s Speer Memorial Library Book Festival. Poet Laureate is a position appointed by the city, which is “basically the ambassador of poetry and literature in McAllen,” Vidaurre said. 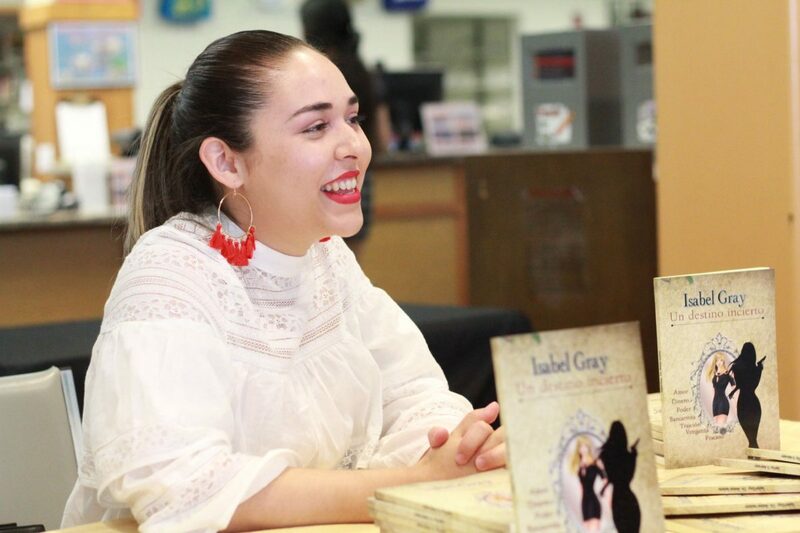 Other poets, artists and authors based in the Rio Grande Valley — many of whom self-publish — were present displaying their collections. The creative minds mingled amongst one another and visitors. 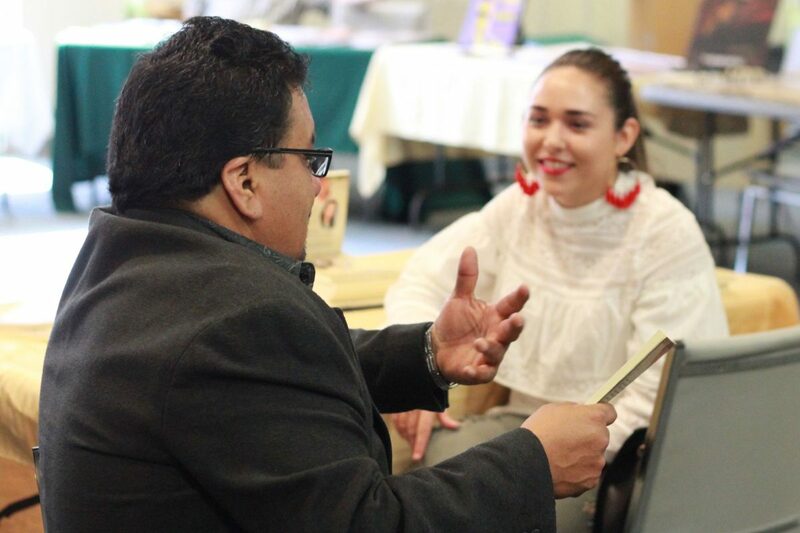 Nancy Paola Chapa, an author from China, Nuevo Leon, Mexico, engages with an attendee of the 2nd Annual Raving Press Book Festival at Speer Memorial Library in Mission on Saturday, April 14, 2018. 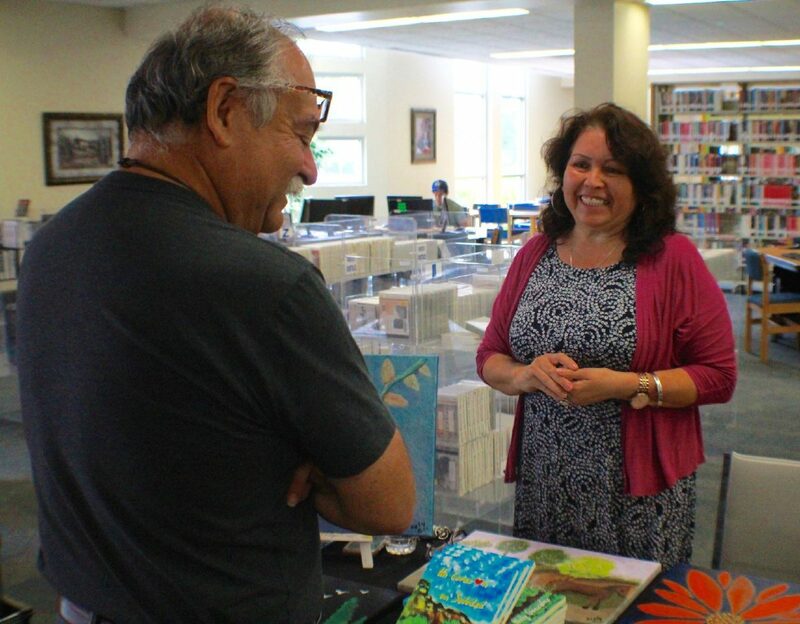 Nely Gonzalez, a McAllen poet and artist, talks about her book to an attendee of the 2nd Annual Raving Press Book Festival at Speer Memorial Library in Mission on Saturday, April 14, 2018. 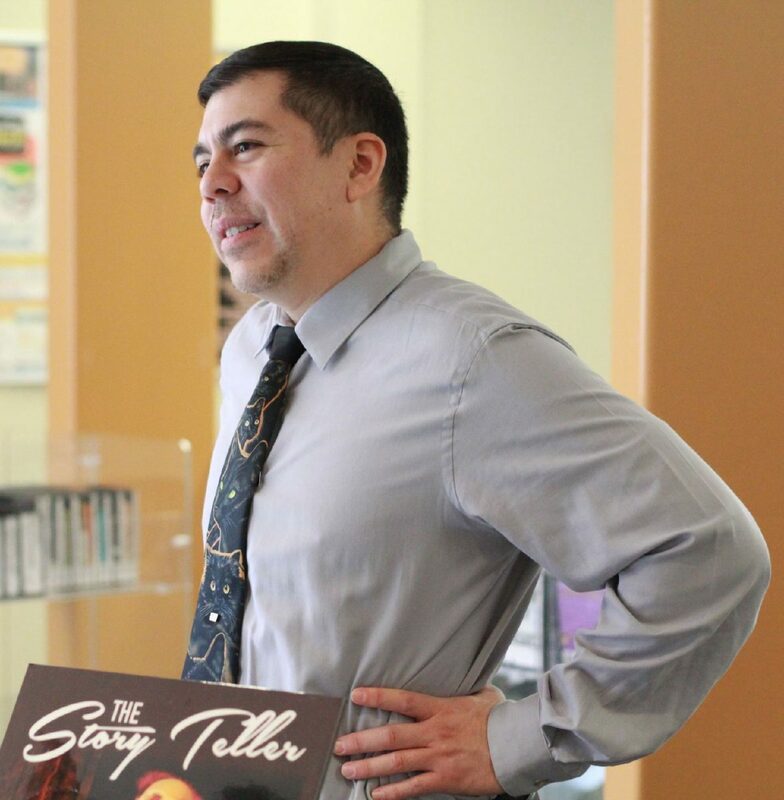 Rey A. Banda, a local children's author from Weslaco at Speer Memorial Library in Mission on Saturday, April 14, 2018. The event began last year with the aim of celebrating local art and literature. It is hosted by The Raving Press, a local publishing company founded by Gabriel H. Sanchez in 1998. Live music, poetry readings and a publishing seminar were a few of the activities conducted by participants this year. It was written from “a story of happy family times, new adventures and my introduction to racial prejudice,” she said, and is comprehendible for a middle school age group. Her other books focus on education, with phonics exercises and “concentrated practice” suitable also for ESL students. She encouraged writers get their start by writing based on what they know. After moving to Mission, Bain began tutoring children, many of whom spoke only Spanish. This experience led her to write and compile lessons that could be shared with this population. Screenplay writer turned author Mark Pantoja has also written a collection of children’s books adapted from the TV show, “The Amalganimals.” In 2012, he received a Beta Award for Best Youth Program. Behind his setup he displayed puppets from the series, which were written as multi-racial characters. Since moving here from New York City, his passion for writing has not withered. “No one’s going to hear your story if you keep it in your head. Just write,” he urged. According to Library Assistant Lulu Garcia, last year the festival had about 200 visitors. The library is becoming more social media savvy and is promoting event on various platforms, so she expects to draw greater attendance.